Thanks to Benjamin and Tyler for the donations a couple days ago! If you would like to help out with the site redesign, please use Paypal (on the left sidebar) or shop the day away at Amazon (LINK). Gracias! Last year: I ranked Morris #25 and said he would be the backup quarterback. He started one game and completed 14/40 passes (35%) for 128 yards, 0 touchdowns, and 3 interceptions. He also ran 9 times for 28 yards (3.1 yards/carry). Morris had a very controversial season in 2014 that had to have been difficult for reasons out of his control. He started off the year as Devin Gardner's backup. When Gardner and the team were underperforming halfway through the year, head coach Brady Hoke turned to Morris to start against Minnesota. A lot of people - including me - were opposed to the idea of benching Gardner, but it wasn't Morris's decision. He rolled his ankle, got concussed, and was left in the game despite stumbling around while trying to get back to the huddle. The handling of that issue would lead to tons of criticism of Brady Hoke, and eventually, the handling of the matter became the last straw for athletic director David Brandon's tenure. Hit the jump for more on Morris and the quarterback situation. Nick Baumgardner previews Michigan's linebacker situation (LINK). Last year: I ranked Charlton #38 and said he would be a backup strongside end. He made 19 tackles, 5.5 tackles for loss, and 3.5 sacks. For a backup defensive end, it's hard to argue much with Charlton's production last season. He started one game against Rutgers, but he was mostly a backup to Brennen Beyer throughout the season. He got to the quarterback against Maryland, Rutgers, Minnesota, and Appalachian State, and he had three tackles against the Buckeyes. It was a decent year, but it was also somewhat forgettable. Charlton did not leap out as a player who was forcing his way into the starting discussion, and Beyer was not a standout whose play demanded a starting position, either. Charlton was largely inconsistent, making a good play here followed by getting out of position there. This season Charlton might find himself playing a backup role again. Redshirt junior Chris Wormley had a good spring by all accounts, and Charlton missed a chunk of time to injury, including the spring game. Wormley has been mostly a defensive tackle during his career so far, but the coaching staff thinks his speed can hold up on the edge. If that's not the case, then Charlton is capable of stepping in to play the position. The worry with Charlton is his inconsistency. He's tall and has put on some good weight, but sometimes he stands up too high, sometimes he gets out of his gap, and sometimes he gets too deep. Those are the reasons that he was behind Beyer last season, and those might be what keep him behind Wormley this season. Michigan does not have many options beyond Charlton, which increases his value here. Henry Poggi made a move to offense in the spring, Tom Strobel has barely played during his career, and guys like Reuben Jones and Shelton Johnson are small and freshmen. Charlton will get plenty of playing time, but his consistency needs to improve if he wants to force his way into the starting lineup. Nick Baumgardner previews the defensive line (LINK). Hit the jump for some pictures of model Anna Faith Carlson. Labels: 2018 recruiting, 247 Sports rankings, Allan Walters, Asante Samuel Jr., Christian Tutt, Emil Ekiyor, Jalen Preston, Jayson Ademilola, Marquan McCall, Patrick Surtain Jr. I mentioned this on Twitter yesterday, but the new website should be launched sometime this week. If you would like to contribute to the site redesign, please use Paypal (on the left sidebar) or consider using this link to Amazon to do some shopping (LINK). Thanks! Last year: I ranked McCray #64 and said he would be a backup middle linebacker. He made 2 tackles, 1 tackle for loss, and 1 blocked punt. McCray was not expected to contribute much last season with all of the competition for playing time at linebacker. First and foremost, he was behind star linebacker Jake Ryan. 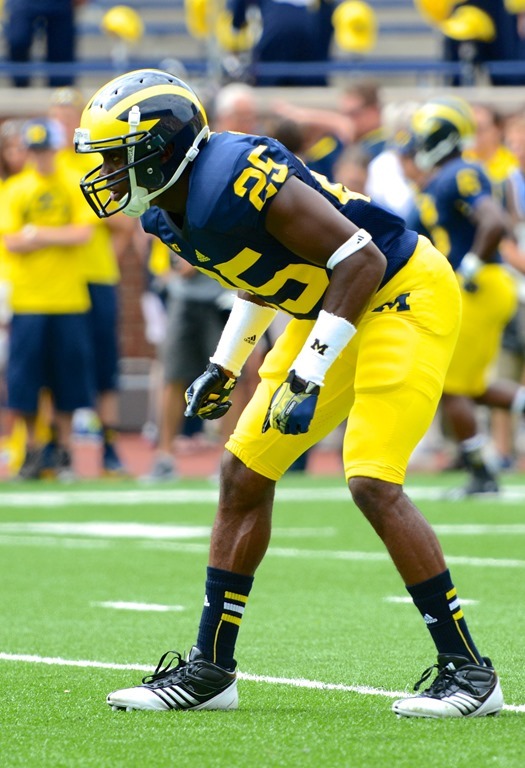 Second, the Wolverines had several more experienced 'backers, including Desmond Morgan, Joe Bolden, and Ben Gedeon. McCray was expected to play special teams, which he did well enough in the season opener. He made a leaping block of a punt against Appalachian State that was returned for a touchdown by Gedeon. Despite playing a fair amount on specials, though, the rest of his year was fairly quiet. The depth chart has thinned a bit this year. Ryan matriculated to the NFL, second-year linebacker Michael Ferns transferred to West Virginia, and fellow second-year guy Chase Winovich moved to tight end in the spring. Those players don't necessarily impact McCray on the depth chart, but their departures from the position group elevate him in importance. McCray won't be a starter this year, but Morgan and Bolden will both graduate after the season, and it would be nice for McCray to get some significant playing time before he's counted on heavily in 2016. He had an upper body injury in the spring that caused him to miss a significant chunk of those practices, but he should be healthy for the beginning of camp. Nick Baumgardner previews the tight ends (LINK). Last year: I ranked Isaac #19 and said he would redshirt. He redshirted. Isaac committed to USC in the class of 2013 and spent his freshman season as a backup for the Trojans. He ran 40 times for 236 yards (5.9 yards/carry) and 2 touchdowns, and he caught 4 passes for 57 yards (14.3 yards/catch). As a recruit he was considered to be a kid who wanted to stay close to home, so it was a surprise that he chose USC in the first place. When he decided to transfer, it was unclear if it was the depth chart or a health issue with his mother (or a combination of the two) that brought him back to the midwest. He applied for a waiver from the NCAA to play immediately, and when I ranked him #19 last year, he was in limbo about whether he would be granted the waiver or not. His request was not granted, so he redshirted like most transfers do. Fast forward a year, and he is probably not in the situation he expected. Brady Hoke was fired after the end of Isaac's redshirt year, and Hoke really recruited him hard out of high school. That was a coaching staff that loved his potential. Meanwhile, Jim Harbaugh and company were mostly coaching in the NFL, and they probably did not have a clue who he was when he was churning out yards in Joliet, Illinois. This spring Isaac was dealing with multiple injuries (he had a cast on his wrist and battled a pulled hamstring), limiting him to just one carry in the spring game before tweaking the hamstring. Since then there have been transfer rumors and questions about Isaac's toughness. I think Isaac is the most talented running back on the team. I was fairly high on Derrick Green coming of high school in 2013, but I would have ranked Isaac higher. He can do almost anything you want out of a running back - run between the tackles, run outside, run through tackles, make people miss, outrun some people, and catch the ball out of the backfield. The thing that has always been a question about him - and this goes back to his high school days - is his mental toughness, and that is a difficult thing to discern from watching him on film. I have few doubts that Isaac is talented enough to succeed at this level, but he plays for a coach that demands toughness. So how far does talent take you on this Michigan squad? I have a feeling that De'Veon Smith will be the starter to begin the year because - let's face it - his best attribute is his toughness. Smith isn't going to outrun anyone or juke anybody in the hole, but he will churn his legs until he can't anymore. I think Isaac is a tough guy to keep off the field because he can create more on his own, he can break bigger plays, and he can catch the ball. Some analysts thought he could even play wide receiver in college. And despite questions about his mental fortitude, he does run with good body lean and gain some tough yards. I just don't know if his raw talent will be enough to convince Harbaugh to trust him as the bell cow. Nick Baumgardner takes a look at the wide receiver group (LINK). Last year: I ranked Watson #73 and said he would redshirt. He redshirted. I did not have much of a feel for Watson when he was coming out of high school. Film on him was scarce, except for a couple plays here or there taken on the same video cameras that captured the existence of Bigfoot. He was a high school corner who played both safety and cornerback in practice last season. That's Watson hanging right there with Maurice Ways, who gets clocked by Jarrod Wilson, jarring the ball loose for Watson to pick. This play, a couple other decent ones in the spring game, and some buzz out of the spring session suggest that Watson has made a move up the depth chart. It doesn't hurt that three corners left (Raymon Taylor, Delonte Hollowell, and Blake Countess), one guy moved to safety (Jabrill Peppers), and two others haven't done much with their opportunities (Terry Richardson, Channing Stribling). It seems like a bit of a toss-up as to whether Watson or Stribling will be the third corner, but I'm giving the edge to Watson because a) he played well in the spring game and b) his mentality seems to fit the new regime's. 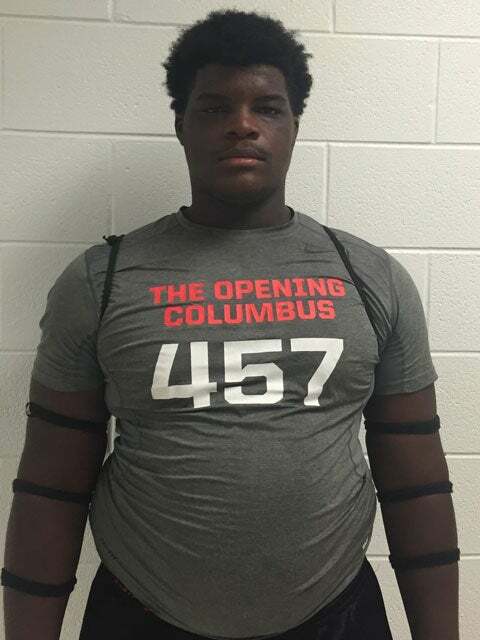 Fort Pierce (FL) Central offensive tackle Stewart Reese was offered by Michigan. He's a 6'5", 348 lb. prospect with offers from Alabama, Auburn, Florida State, Georgia, and LSU, among others. 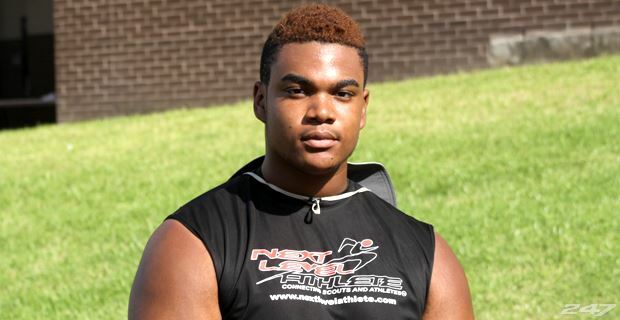 He's a 247 Composite 3-star, the #35 offensive tackle, and #347 overall. Reese is an excellent drive blocker who may need to move inside to guard at the next level. He wants to study to be a doctor, which is a pretty big undertaking for a football player. Florida State seems to be in the driver's seat right now. Hit the jump for a new 2017 quarterback offer, several players who came off the board, and a handful of random bits. Nick Baumgardner previews the offensive line position group (LINK). Hit the jump for some beautiful women, including a video of singer Andie Case. Last year: I ranked Stribling #46 and said he would be a backup cornerback. He made 7 tackles and .5 tackles for loss. Stribling played a fair amount as a freshman in 2013, and that raised a lot of people's hopes for him, despite the fact that he was not very good. Last season he was anywhere from the fourth to the sixth cornerback behind starters Jourdan Lewis and Blake Countess, as well as Raymon Taylor, Delonte Hollowell, and Jabrill Peppers (pre-injury). Four of the five players listed above are gone (Taylor and Hollowell to graduation, Countess to Auburn, Peppers to safety), but I still think Stribling will be the fourth corner or lower, depending on how you view the position. The starters are likely to be Jourdan Lewis and Wayne Lyons, Peppers is slotted in as the nickel corner, and even redshirt freshman Brandon Watson might have worked his way past Stribling. I am concerned that after two years of seeing a fair amount of backup time, Stribling has just 23 tackles, .5 tackles for loss, and 1 forced fumble. The cornerback position is about making plays on the ball, and he doesn't seem to have that "it" factor for a corner. He seems to be a step slow when it comes to timing, turning to run, finding the ball, etc. There's bound to be an injury or two, and certain packages will require more defensive backs, but Stribling seems to be on the outside looking in when it comes to major playing time this season. The one thing that bumps him into the 30's this year is a lack of proven depth at corner when so many teams in college football trot out four and five receivers. Beyond Stribling, Michigan has few options before people start having to shuffle positions. Zach Shaw talks about the whirlwind summer for Jim Harbaugh (LINK). Hit the jump for some good looking women, including a gif of a girl doing some stretching. Last year: I ranked Godin #48 and said he would be a backup 3-tech tackle. He made 9 tackles, 1.5 tackles for loss, 1 sack, and 1 interception. Godin struggled with some fairly minor injury issues last year, and that kept him off the field for a small portion of the year. He also had some pretty solid players ahead of him on the depth chart, and he was not greatly missed for a defense that did pretty well despite a struggling offense. When Godin did get on the field, he was not a liability. He lacks great explosiveness, but he does well with leverage despite being 6'6". He had a decent two-game stretch late in the season against Northwestern and Maryland when he made 3 tackles, 1.5 tackles for loss, 1 sack, and that interception on a tipped ball against the Wildcats. But during the rest of the year, he made just 6 total tackles. Godin should be healthy this year, but the depth chart has not cleared up ahead of him. He and Chris Wormley play roughly the same position, and Wormley got a lot of buzz this spring as a 3-4 end/4-3 tackle tweener. Meanwhile, Michigan has Willie Henry as a 3-tech tackle. Godin is looking at a backup role again, but he is a serviceable player who has done a good job of working his body into shape since high school. I think he is a player who can help get a push against smaller, more finesse-oriented offensive lines because of his length, but there are other guys who might fit into game plans against Michigan State, Ohio State, and Minnesota, teams that are looking to pound it up the middle. Unfortunately for Godin, Wormley and Henry are his classmates, so unless something happens to one of those guys, he may not be able to punch through into the starting lineup before his career is finished. Start celebrating your weekend with some good looking ladies beyond the jump, including a Marisa Miller gif. Ian Boyd previews Michigan at Utah (LINK). Hit the jump for a few good looking women and a gif that will make you happy. Last year: I ranked Harris #71 and said he would redshirt. He redshirted. A redshirt was expected for Harris in 2014, and a redshirt was received. 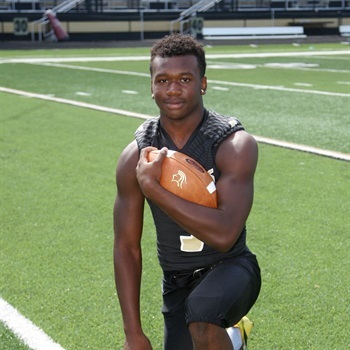 He hurt his hamstring pretty badly before his senior season of football began in 2013, and the same injuries continued to hamper him into last year. When it seemed like he was on his way back, he got hurt again. He was practicing with the team this past spring until he tweaked his hammy, so we didn't see him in the spring game, either. Harris was an early enrollee in January 2014, and we haven't even seen him play in a spring game since then. I have heard rumors this summer that Harris was essentially given an ultimatum by Jim Harbaugh: Be healthy and ready to contribute by July 1, take a medical scholarship, or transfer. I have not heard that from a strong enough source to lend it a ton of credence, but it does sound plausible. When a lone injury costs you two-plus years of rehabbing and sitting on the bench, it seems rather natural to think that it might be career-ending. We've hit that two-year mark. As for what Harris brings to the field, he's a 6'4" kid with good speed who can go up and get it. A healthy Drake Harris is a potential difference-maker. He hasn't played since high school, and I can imagine that blocking would be an issue at his current size (6'4" and 184 lbs. is very stringy, even though he's put on 10 lbs. since last year). But practice reports from his healthy stretches were positive, and he's a guy who can break big plays, including against a pretty good Michigan defense early this spring. He said on Twitter that he recently ran a 4.4 and appears to be healthy. Michigan has a lot of possession guys, but they have been lacking a big-play threat since Devin Funchess got hurt early last year. Even if Harris is 100% healthy this fall, I don't think he can be an all-world receiver after missing two years. But if he is at full go, then he could be a weapon that we will be looking forward to seeing more of in 2016 and beyond. Michigan appears twice on Athlon's top 25 non-conference games list (LINK). Hit the jump for some pictures of the lovely Diana Melison. Last year: I ranked Green #29 and said he would be a backup running back with 120 carries, 500 yards, and 5 touchdowns. He had 82 carries for 471 yards and 3 touchdowns, plus 2 catches for 26 yards. It was an up-and-down season for Green last year. He was overweight and out of shape as a freshman, and then he worked himself into pretty good condition for 2014. Things started off great with a 170-yard game (including a 62-yard run) against Appalachian State, went downhill against Notre Dame, improved against Miami of Ohio, went okay against Utah, went terribly against Minnesota, and then went pretty well at Rutgers . . . until he broke his collarbone, anyway. Up until that point, he was the starting running back and lead rusher by a long shot. He missed the final six weeks of the season and finished second in rushing to De'Veon Smith (519 yards). I have had a hard time sussing out the running back situation this off-season. Drake Johnson looked the best to end 2014, but he tore his ACL in the season finale. De'Veon Smith looked the best in the spring game, but that's largely based off of one run and he has had plenty of opportunities in the past to distinguish himself, which he hasn't done. Ty Isaac was the most talented of the whole group coming out of high school, but he was nursing an injury this spring and rumors persist about his mental toughness. Toss in Wyatt Shallman and Karan Higdon, and nobody really knows what to expect. So where does Green fit in? Green is not a guy who can create for himself. Despite being built like a bowling ball, he is more of a Nerf ball. Green goes down way too easily on contact, although if I'm being fair, his issues stem from lacking balance in the lower body. If he has a chance to lower his shoulders and square up a defender, he can gain extra yards. If the defender picks a dandelion and hurls it at Green's knees, Green will fall flat on his face. I think his vision is solid, his speed is decent for a big guy, and he has some nifty feet in the hole, but he needs a good offensive line. (He is also reportedly the best pass blocker of the group.) With a good offensive line, he can be a 1,200-yard rusher and earn some fringe all-conference accolades. With a mediocre offensive line, he will be what he has been. As of right now, I think Green is a very solid #2 back but not a guy who can put the team on his back and will it to victory. I don't know if Michigan has that guy right now. This will probably be a running back-by-committee type of situation when all is said and done, even though Jim Harbaugh has a history of picking one horse and riding him until the cows come home. Keith Heitzman is playing tight end at Ohio (LINK). And when I say "Ohio," I actually mean the Ohio Bobcats. I don't buy into that stupid crap about calling Ohio State "Ohio." Hit the jump for some cleavage. 2015 Season Countdown: #39 Maurice Hurst, Jr.
Last year: I ranked Hurst #41 and said he would be a backup nose tackle. He made 3 tackles, 1 tackle for loss, and 1 blocked extra point. Hurst earned quite a bit of buzz during the spring of 2014 and in practice last season, but it never translated into a great deal of playing time. He appeared in eight games and made 3 tackles total. However, he was not one of those guys who made all his tackles against Appalachian State and then disappeared. His TFL came against Notre Dame, his extra point block came against Rutgers, etc. This is a player who appears to be working his way up the depth chart the old-fashioned way - by earning it in practice, having some success on the field, and showing why he should be on the field. Hurst spent the spring game making David Dawson look silly and getting in the backfield, so that may mean good things are on their way. Unfortunately, Hurst plays a position where Michigan has a lot of depth, including redshirt junior Ryan Glasgow and sophomore Bryan Mone, not to mention redshirt junior Willie Henry, who can play nose tackle or 3-tech tackle. While nobody has proven to be a star just yet, there is potential for a couple of these guys to earn accolades and raise their draft status. I like Hurst as a situational pass rush guy, but his size is a question mark for an every-down player on the nose. I expect him to improve his stock incrementally this season. Labels: 2015 season countdown, Maurice Hurst Jr.
Ahmir Mitchell - WR - Egg Harbor City (NJ) Cedar Creek: Mitchell is a 6'3", 206 lb. prospect with offers from Michigan, Notre Dame, Ohio State, and Rutgers, among others. He's a 247 Composite 4-star, the #6 athlete, and #78 overall. He visited Michigan a few weeks ago with a group of New Jersey prospects. He will visit Ohio State on Friday and Michigan on Saturday, and this trip will be with his mother. He is also scheduled to be at the BBQ at the Big House on August 2, although this trip may cancel that one. This was posted by Michael Spath back in April, but it's a good look at other graduate transfer quarterbacks and how they've performed in the past (LINK). It could inform your thoughts on Jake Rudock. Hit the jump for a few good looking ladies, including a gif of a girl checking herself out in the mirror. Last year: I ranked Ways #70 and said he would redshirt. He redshirted. Ways was a bit of a late bloomer coming out of high school. Early in his high school career, he was splitting his time between basketball and football, and he thought he might make a career out of his court exploits. In his final two years, he decided to concentrate on football and realized that there are a lot of talented guys out there who are 6'4". It made sense to predict a redshirt for him last year as he continued his adjustment to playing wide receiver at a high level. Ways is not lacking in physical skills. He has the height, the build, the speed, and the leaping ability to be a standout in the Big Ten. The biggest question mark about him has been his hands. He had a case of the dropsies in high school, and those problems have reportedly persisted in the early stages of his college career. Michigan's receiving corps is almost totally unproven, and I think Ways has the potential to be a major player going forward. That may not happen this year - or ever - but someone has to step up, so it might as well be him. One of this staff's strengths is supposedly their ability to coach up undeveloped players, and I think Ways's physical assets make him a prime candidate to benefit. Scoop: Chambers played a bit as a true freshman in 2007, making 7 total tackles, including a 5-tackle performance against Notre Dame. He made 2 more tackles in 2008 before leaving the team in the middle of the season for unknown reasons. He transferred to Ball State and had to sit out the 2009 season due to transfer rules, but he was gone by 2010. He reappeared at Delta State University in 2012 and made 7 tackles in six games. His career appears to be finished. Scoop: Williams was a highly touted recruit out of California who redshirted as a freshman in 2007. The newly hired Rich Rodriguez used him as a box safety in 2008, when he made 18 tackles, 2 tackles for loss, and 1 sack. He became a nine-game starter as a redshirt sophomore in 2009 and made 56 tackles, 1 tackle for loss, and 1 pass breakup. He appeared in just two games in 2010 and made 2 tackles before the last in a long line of concussions caused his career to come to a close. Hit the jump for the scoop on the other guys Michigan targeted, including Ohio State-bound Eugene Clifford and one-time Michigan commit Jerimy Finch. The Wolverine's Michael Spath ranks the top 25 players in the Big Ten (LINK). Unfortunately, none of them plays for the Wolverines. Hit the jump for a few good looking ladies to soften the blow. ESPN released their top 300 prospects for the class of 2017 (LINK). There are no 5-star prospects on the list yet, so all these prospects are 4-stars and 3-stars. Four of the top six prospects are offensive tackles, and a fifth is a defensive tackle. ESPN is weird like that. Last year: I ranked Hill #60 and said he would be a backup tight end. He started three games and made 4 catches for 37 yards. Last year it appeared that Hill had made the move from an H-back type of player to a full-time tight end, but that turned out to be temporary based on some other personnel issues. When the season came around, he was playing H-back and lining up in various places off the line. He made some nice blocks in space, started three games when the packages called for an H-back, and made a few catches before tearing his ACL in the fifth game. Hill seems like a good fit for the F-back position that the new staff is implementing. Unfortunately, he missed all of spring practice due to his ACL recovery. Depending on how that recovery goes, I think he is probably the best F-back prospect on the roster and should be the starter if and when he's healthy. He has soft hands, enough speed to gain chunks of yards in the flat, and can be a good blocker on linebackers, though he lacks the length, bulk, and technique to play on the line of scrimmage. My guess is that he will be starting by year's end unless someone else really takes a stranglehold on the position early. Allen (TX) Allen offensive tackle Greg Little decommitted from Texas A&M. He's a 247 Composite 5-star, the #1 offensive tackle, and #2 overall. It seems a little odd that Little is decommitting from the Aggies with their steady recent history of producing top draft picks at the offensive tackle position. Also, the school he will probably commit to now, Alabama, offered him back in January, so it's not like it's a new offer for which he had been waiting. Regardless, Michigan has no shot here. Hit the jump for a few players who committed elsewhere and some miscellaneous bits. 247 Sports: Ten quarterbacks who've "got next"
Kevin Flaherty looks at ten college quarterbacks from around the country who could be tomorrow's stars (LINK). John O'Korn makes the list, along with several familiar names for those of you who have been following quarterback recruiting the past couple years. Last year: I ranked Jenkins-Stone #35 and said he would be a backup SAM linebacker with 20 tackles and 1 sack. He started two games and made 8 tackles. When Jenkins-Stone was a recruit, defensive coordinator/linebackers coach Greg Mattison told him that he could be the next Ray Lewis. Fast forward three years, and Jenkins-Stone finally made his first appearance in a starting lineup against Miami-OH. Playing mostly special teams throughout the year, he set a career-high with 8 tackles. He was recruited as a middle linebacker, and he looked like the type of kid who would bulk up and at least have the prototypical build of a MIKE, if not the skills of one. It appears that the skills were lacking, but he was listed at just 221 lbs. last year, which was six pounds lighter than the undersized, 6'0" outside linebacker James Ross III. Jenkins-Stone's career has definitely not gone in an expected direction. Fast forward another year, and Jenkins-Stone is the biggest he has ever been at 240 lbs. Something finally clicked in the weight room or at the buffet table, and maybe it's the fact that he's entering what could very well be the final season of his football career without making much of an impact. Rather than being a middle linebacker, though, the new coaching staff seems to think of him as a quasi-defensive end. He played Buck linebacker in the spring game, which is the new staff's name for a weakside end. I ranked fellow Buck linebacker Lawrence Marshall at #43 yesterday (LINK). Both players will probably be backups to Mario Ojemudia, but Marshall is somewhat limited to pass rushing while Jenkins-Stone is more of a run-stopper, has some position flexibility, and has been playing special teams his whole career. At this point Jenkins-Stone is probably just a guy, but he can give someone a breather and maybe make an occasional play in the run game or on kick coverage. Tripwire by Lee Child. This tells the story of Jack Reacher, who is at least temporarily happy working in Key West, being reminded of his past Army life. A former colleague passes away, and Reacher happens to fall in love with his daughter, a lawyer in New York. (Jodie Garber is a character who will be referenced throughout at least the next few novels.) Some of the deceased's dangerous business ends up falling in Reacher's lap, and he has to go about making things right for himself and for Jodie. Running Blind by Lee Child. As of this writing, I have read six of the Jack Reacher books, and Running Blind was in some ways the least enjoyable. I liked the beginning and middle of the story, but the "surprise twist" ending was not a surprise at all. I had expected it for a while at that point. Anyway, the book starts off in New York City with Reacher beating up a couple thugs, and it continues as a cross-country hunt for a serial killer of sexual assault victims. Echo Burning by Lee Child. I think someone mentioned in a previous iteration of "What I've Been Reading" that the series really took off with Echo Burning, and I have to agree. It seemed like this one was a little bit more personal and riveting than others. Jack Reacher ends up in the middle of nowhere in Texas (okay, places like Pecos and Echo) with a woman trying to get him to off her abusive/criminal husband. Without Fail by Lee Child. The momentum from Echo Burning carries over into Without Fail, as the death of Reacher's brother comes back to haunt him a little bit. The Secret Service starts to receive threats toward the Vice President-elect, and Reacher gets pulled into the action. The reason I first heard of Jack Reacher was when the movie came out a few years ago based on One Shot, but Without Film seems like the most filmable novel of the series so far. A Drink Before the War by Dennis Lehane. I had been on a bit of a Dennis Lehane run before I got hooked on the Jack Reacher books, so I took a bit of a break to return to the investigations of Patrick Kenzie and Angela Gennaro. The two private investigators get a job that has them looking for a politician's house cleaner who stole some important documents. Unfortunately, Kenzie figures out what the documents are and realizes that maybe they shouldn't be returned. I have yet to be disappointed by a Lehane book. 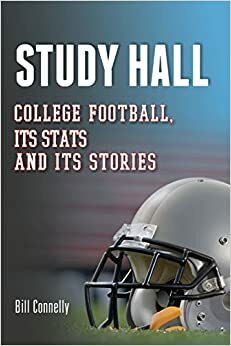 Study Hall: College Football, Its Stats and Its Stories by Bill Connelly. I just started in on this one yesterday and only got through chapter one, which talks about the reasons why college football fans are so, well, fanatical. I'm looking forward to getting back into it, though. Please leave your commentary or reading suggestions in the comment section. Here's a fluff piece on Jabrill Peppers (LINK). Hit the jump for three very good looking ladies and then a gif of a girl who's . . . thinking hard. Last year: I ranked Marshall #50 and said he would be a backup weakside end. He redshirted. Michigan has not done a great job of stockpiling rush ends in recent years. That nearly caught up with the Wolverines last year when the team had very few options. Frank Clark was kicked off the team, leaving Mario Ojemudia as the only experienced player at the position. I thought Marshall might get a chance to play just to get his feet wet for 2015, but it didn't happen. The coaches had a short rotation throughout the season. Michigan has a little more depth this year now that a couple freshmen (Shelton Johnson, Reuben Jones) have been added to the roster, but they are obviously inexperienced, too. Marshall is listed as a defensive end, but he will play the Buck linebacker position, which is roughly the weakside end that existed under the previous staff. Ojemudia should inherit the starting job, but the backup situation is unclear. Senior Royce Jenkins-Stone played there in the spring, but much like Brandon Herron during the Rich Rodriguez era, he's undersized and doesn't really have the skills you're looking for in a weakside end. Marshall is a defensive end by trade, has a bigger frame, and earned some buzz in the spring for his pass rushing abilities. In the spring game, Marshall made a nice looking play where running back Wyatt Shallman whiffed on the block and Marshall took down quarterback Shane Morris for a sack. He should see a fair amount of playing time this season. It's Friday, so it's time to celebrate your weekend by enjoying some good looking ladies, including a gif of a girl dancing. Ian Boyd has a nice breakdown of some of the concepts used by Texas A&M and Arizona State, who will square off in week one (LINK). Hit the jump for blonde model Bryana Holly. Joe Schad announced on Twitter that Ondre Pipkins is transferring from Michigan to Texas Tech. As a player going into his fourth year of college, he will have to sit out the 2015 season and will be eligible in 2016. As far as Texas Tech's depth chart goes, the Red Raiders have three seniors, one sophomore, and one freshman on their 2015 depth chart at the defensive tackle spots. When Pipkins is eligible to play in 2016, he will be the most experienced guy on the roster and should be able to find some significant playing time as long as his injuries don't cause him further trouble. Last year: I ranked Canteen #18 and said he would be a starting slot receiver with 25 catches, 400 yards, and 4 touchdowns. He started two games and had 5 catches, 22 yards, and 1 touchdown. Canteen earned a lot of hype in the spring of 2014, which carried over into the season. I reached on him. I made the mistake of believing, like children believe in Santa Claus or like Plaxico Burress believed Nick Saban. The whole world is a lie. Canteen, the self-professed fastest player on the team, averaged 4.4 yards a catch and scored once. He played regularly, but he was not a staple of the offense. Maybe he could have contributed more, but Michigan's passing offense was terrible as a whole, from the play calling to the quarterback to the protection to the receiver play. Canteen was targeted only a handful of times, and I think he dropped one pass. It was a forgettable season. On the plus side, Canteen got some game experience. The Wolverines are searching for a breakout receiver this year, since Amara Darboh is the only truly established receiver, and he is a possession guy only. Canteen still has the quickness to beat people, but he needs to be used in some of the same ways that former wideout Roy Roundtree was - bubble screens, seam routes, etc. The receivers as a whole don't really stand out, so not many of them deserve to be ranked too high on this list. Canteen will probably continue to play in the slot, but Michigan potentially has other options with redshirt junior Jehu Chesson, freshmen Brian Cole and Grant Perry, and perhaps senior Dennis Norfleet. Michigan will not light up opponents through the air, so it would be nice to see an incremental step forward from Canteen. Hit the jump to see whom Michigan recruited and how they fared in their careers. Phil Steele thinks Michigan should have a better season because turnover numbers should drop (LINK). Wouldn't that be nice? Last year: Gentry was a senior in high school. He was a 247 Composite 4-star, the #8 pro-style quarterback, and #175 overall. Gentry was Michigan's biggest coup in the 2015 class after suffering some frustrating losses and decommitments on the recruiting trail. Purely a product of the Jim Harbaugh coaching hire, Gentry was offered after Harbaugh was hired, and he flipped from the Texas Longhorns. He was a dominant player in the somewhat shallow talent pool of New Mexico, so playing at the University of Michigan will be a huge step up in competition. However, his size, speed, and arm strength cannot be denied as having the potential to be a big-time player at the next level. I noted in Gentry's commitment post (LINK in case you missed it) that he has lots of technical flaws. He did not enroll early, and I think it's going to take some time to get him acclimated to college football. There have been rumors that he's up to 6'8" and 240 lbs. now, and with any quarterback who's 6'6" or above, you wonder a little bit about how long it will take their coordination to catch up. Gentry is not a kid who dropped back from under center often, and those mechanics are probably going to take a couple years to work out. I'm placing Gentry this high for a couple reasons. First, Jim Harbaugh wanted him badly. Second, he has the size and speed to play the role of a Blake Bell or Tim Tebow as a freshman, working in certain packages as a run-first, short-yardage guy. Third and perhaps most importantly, I have heard through the grapevine that the coaches plan to use him this year. I don't think Gentry will be the starting quarterback this year, but I think he will work into the game plan in certain situations. The coaches also have to consider the 2016 season and beyond, and Gentry needs to be groomed as the quarterback of the future, whether it's in the second half of 2015, the 2016 season, or after Shane Morris is scheduled to graduate in 2017. Physically, Gentry has more upside than any other quarterback on the roster, and that includes Morris, who is a pretty good all-around athlete. We saw Jim Harbaugh take good athletes like Josh Johnson (University of San Diego) and Colin Kaepernick (San Francisco 49ers) and turn them into high-caliber players. I think it's only a matter of time before Gentry is playing at a high level. Michigan should get solid quarterback play from Jake Rudock and there are some talented running backs, so I don't think the Wolverines would be doomed without Gentry's contributions. Prediction: Backup/situational quarterback. 160 yards rushing, 6 touchdowns. 15 passing attempts, 1 touchdown. Michigan signed an 11-year deal (with a 4-year option attached) that's potentially worth $169,000,000 (LINK). Hit the jump for several good looking women, including a girl rolling back and forth on a bed. Today is Amazon Prime Day, so help out John U. Bacon by ordering his new book about Michigan football (LINK), help me out by ordering a new Samsung TV (LINK), and help yourself out by ordering a Tony Robbins book (LINK). Last year: I ranked Norfleet #24 and said he would be the starting kickoff returner, a backup punt returner, and a backup wide receiver. He returned 19 kickoffs for 438 yards (23.1 yards/return) and 10 punts for 38 yards (3.8 yards/return); he caught 15 passes for 111 yards (7.4 yards/catch); and he ran 9 times for 64 yards (7.1 yards/carry). 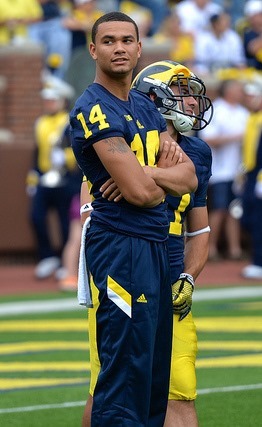 Norfleet's last calendar year at Michigan has been disappointing. Despite Michigan lacking playmakers, he touched the ball only occasionally on offense (24 offensive touches total). His kickoff returns were average, and his punt returns were subpar. When it looked like he finally scored his first collegiate touchdown, it was called back due to a penalty. Then this past spring, he skipped a final exam and found himself dismissed from the team . . . sort of. I am including Norfleet on the list for a couple reasons. First of all, he still appears on Michigan's official roster. And secondly, despite previous reports that it would be nearly impossible for him to work his way back onto the team, rumors are circulating that he just might be able to return to the squad. No official word has been passed down yet, and we may not know until fall camp starts. Regardless, I promised to rank all players where I saw them fitting, and he has dropped 22 spots from last season. Michigan experimented with him as a slot receiver last season, and he struggled to catch the ball downfield, though he has shown good enough hands on bubble screens. They also used him occasionally out of the backfield, where he averaged 7.1 yards/carry and caught a couple screen passes. 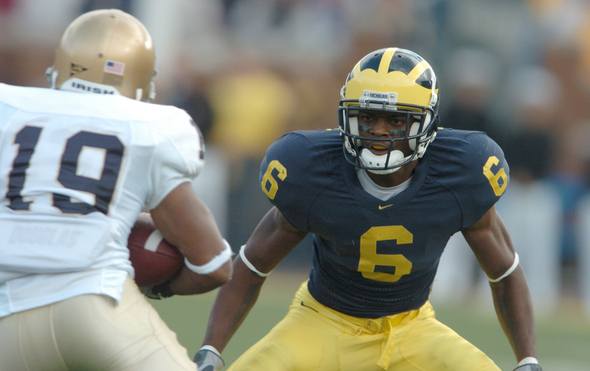 Jim Harbaugh's staff experimented with him at cornerback in the spring game, and in fairness to Norfleet, his torching in that scrimmage came after very little practice time at corner (Norfleet also practiced at cornerback in 2012). 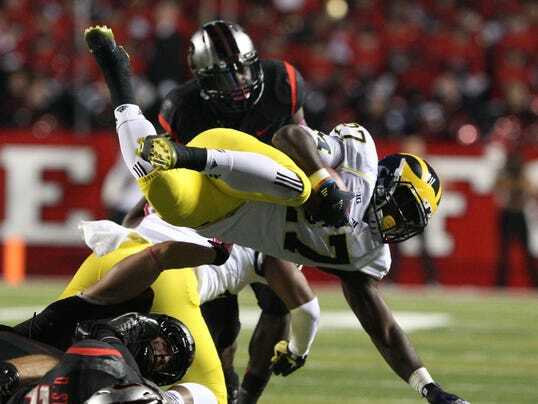 But the biggest reason for the drop to #46 is that Jabrill Peppers seems slated to steal Norfleet's return duties. Norfleet would still likely see some action because Peppers will need a rest or might get dinged, but a backup returner without much value as a position player doesn't seem extremely vital to the team's success. SI.com: Mythbusters - Can any running back excel behind Cowboys' offensive line? Doug Farrar takes a look at whether it was Dallas's line or DeMarco Murray that made the running game go (LINK). Even if you don't care about the Cowboys, it discusses the importance of the offensive line in a running game, which Michigan fans have been concerned about for the past couple years. Hit the jump for some good looking girls, including a Tigers fan. Last year: I ranked Clark #49 and said he would be a backup safety and special teamer. He started six games, making 18 tackles and 1 pass breakup. Clark played a bigger role in 2014 than most expected, including me. He started six games at safety, which was a huge step forward from 2013, when he played in only one game the whole year. The defense as a whole was solid, and Clark was not exposed often; however, Clark did take some poor angles and is pretty limited in coverage. Some people thought that Clark would grow into a linebacker, but after playing last season at 206 lbs., he's now listed at 205 and is pretty thin. I don't think linebacker is in his future, and I don't think he'll play a ton of safety this season, either. With Jarrod Wilson and Jabrill Peppers looking almost like locks to start at safety, Clark is fighting to be the third safety with junior Delano Hill. My guess is that Hill will win that battle and see some significant time in nickel situations. Clark's best chance to play will be on special teams unless Jarrod Wilson gets hit by the injury bug once again. 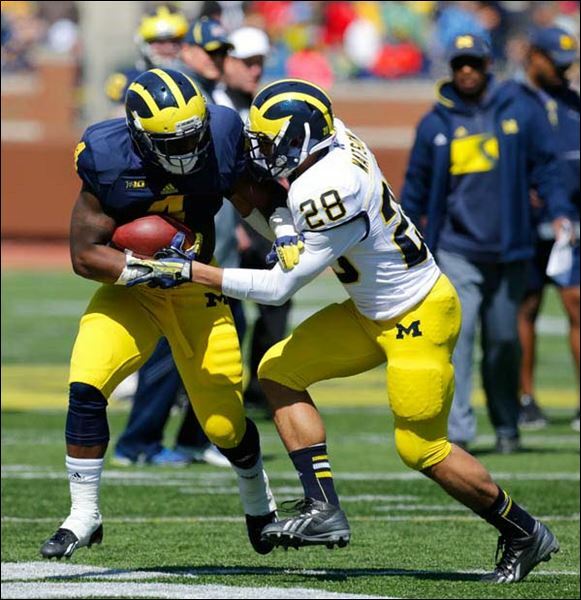 Bolden started 12 games last season for Michigan and made 102 tackles, 4 tackles for loss, 2 sacks, and 1 pass breakup. Ross started 7 games last year and made 32 tackles and 3 tackles for loss. Both players are seniors. Chris Brown of Smart Football has put out a new book called The Art of Smart Football. You can find it on Amazon (LINK). 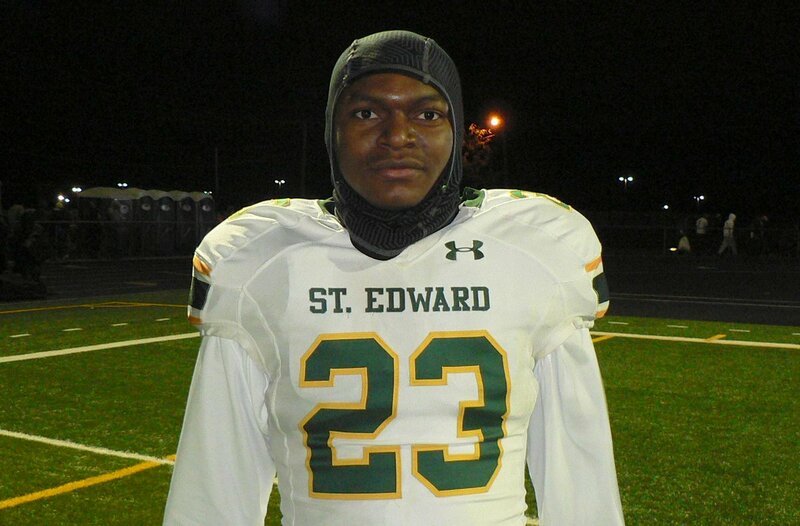 Tony Butler - CB - Lakewood (OH) St. Edward: Butler is a 6'2", 195 lb. prospect who decommitted from Pitt recently; he also has offers from Arizona State, Maryland, Michigan, Nebraska, and others. He's a 247 Composite 3-star, the #57 cornerback, and #622 overall. His former head coach, Rick Finotti, was hired to be Michigan's director of football operations this past winter by Jim Harbaugh. Butler is thought to be leaning toward committing to the Wolverines. Marlon Davidson - DE - Montgomery (AL) Greenville: Davidson is a 6'3", 260 lb. prospect with offers from Alabama, Auburn, Georgia, Michigan, and several others. He's a 247 Composite 5-star, the #3 strongside end, and #22 overall. He attended Michigan's satellite camp in Prattville, AL, and has expressed interest in Michigan. However, he is an Auburn legacy and considered to be a lean to the Tigers. UPDATE: For the second time in two months, a visit from Davidson has been canceled/postponed. He was supposed to visit Michigan in mid-June and mid-July, but instead he is visiting Auburn and Georgia this weekend. Brad Hawkins, Jr. - WR - Camden (NJ) Camden: Hawkins committed to Michigan earlier this month (LINK). 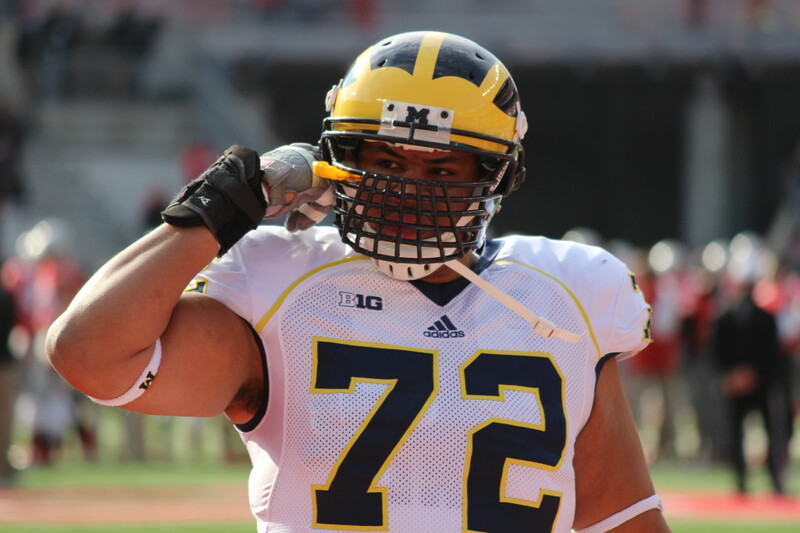 He is also expected to return for Michigan's BBQ at the Big House on August 2. Ron Johnson, Jr. - DE - Camden (NJ) Camden: Johnson committed to Michigan in June (LINK). He will visit for the BBQ at the Big House, too. K.J. 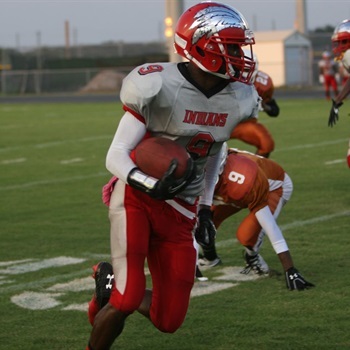 Sails - S - Gibsonton (FL) East Bay: Sails is a 5'11", 170 lb. prospect with offers from Iowa, Rutgers, and Wisconsin, among others. He's a 247 Composite 3-star, the #57 cornerback, and #622 overall. James Light Football shows us some of Gunter Brewer's passing concepts (LINK). Brewer is the passing game coordinator/wide receivers coach at North Carolina. Hit the jump for some good looking ladies, including a video of an attractive weather girl. Last year: Cole was a senior in high school. He was a 247 Composite 4-star, the #5 athlete, and #73 overall. Cole was a tantalizing prospect coming out of high school. A top-100 athlete, he spurned some quality programs for Michigan. That included Michigan State, who were thought to be the leaders at one point. He did a little bit of everything for Heritage - running back, wildcat quarterback, receiver, safety, punter, returner, etc. He did not play great competition at Heritage, but he was extremely productive even when defenses understood he was by far the team's biggest threat. Cole also reportedly had some discipline issues and missed some time as punishment. Cole enrolled early this past January and participated in spring ball. He did not stand out in the spring game, and he received only sporadic buzz in the spring, with practice observers saying he will be good someday. That day will not necessarily come in 2015. He needs to mature a little bit physically, and he is not polished as a wide receiver. Michigan's staff plans to use him in the slot, where he can run some short routes, use his running skills, and maybe pop down the seam once in a while. I don't think Cole is ready to be a starter just yet, so I think he will be coming off the bench to begin. He also has potential as a returner, but Jabrill Peppers - and Dennis Norfleet, if he gets reinstated - should be able to handle the return duties this season. This video was put out in April, but I missed it at the time. Over the weekend, I pre-ordered John U. Bacon's new book. Endzone: The Rise, Fall, and Return of Michigan Football is available on Amazon (LINK). Lakewood (OH) St. Edward cornerback Tony Butler decommitted from Pitt. This was a long time in the making, but it was tough for Butler, who said he considered new Pitt head coach (and former Michigan State defensive coordinator) Pat Narduzzi a bit of a father figure. Former St. Edward head coach Rick Finotti is now Michigan's director of football operations. Butler is 6'2", 195 lbs. and is a 247 Composite 3-star, the #57 cornerback, and #622 overall. He is now expected to commit to Michigan at some point (he will visit Michigan this weekend) unless Ohio State swoops in with an offer. St. Petersburg (FL) Farragut safety Craig Watts decommitted from Wisconsin. Watts is a 6'0", 180 lb. prospect who also has offers from Alabama, Florida, Florida State, Miami, and Ohio State, among others. 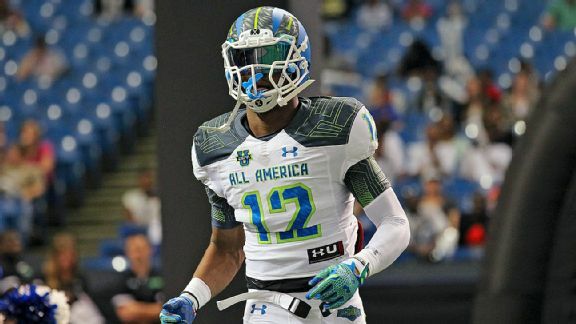 He's a 247 Composite 4-star, the #16 safety, and #287 overall. He is not expected to consider Michigan. He just committed to Wisconsin in late June, so this was quite a quick change of heart. Hit the jump for a couple new 2018 offers, numerous players who committed elsewhere, some news from the Elite 11/The Opening, and some random tidbits. 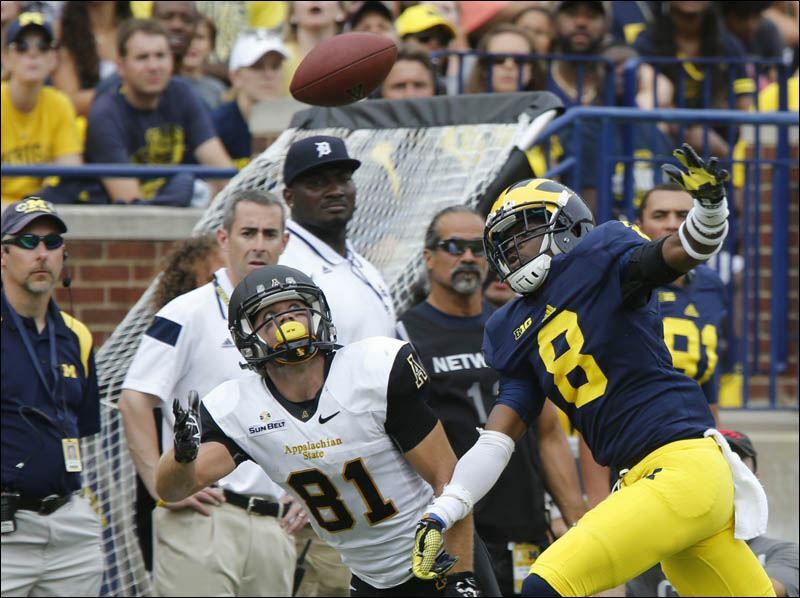 Devin Gardner is working on making an NFL roster (LINK). Hit the jump for some pictures of beautiful women. Last year: I ranked Winovich #74 and said he would redshirt. He redshirted. Winovich was lanky and undersized for the linebacker position last year. He was also his high school team's quarterback, so he had not been concentrating full-time on defense before last year. With Michigan's stable of experienced linebackers, it would have taken a rash of injuries to put Winovich on the field. Fortunately, everyone but Desmond Morgan stayed healthy, and Winovich was able to learn from the sideline. Then this spring came along, and Winovich was moved to tight end. He was a standout runner in high school, and quarterbacks often have very good hands, so the move makes a little bit of sense. 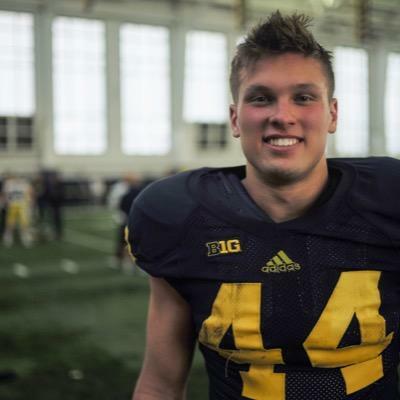 I have also heard through the grapevine that Michigan's coaches have high hopes for him at tight end, perhaps even more than what a lot of fans realize. However, he is only a redshirt freshman, he's light for a tight end, and he did not look very comfortable catching the ball in the spring game. Michigan would have to use him as an F-back (the new term for Al Borges's U-back or a standard H-back) to catch passes on crossing routes or in the flat, because he's just not ready for in-line blocking. Joe Kerridge is a solid blocker at fullback, but Winovich has some more dynamic abilities as a runner. And if the F-back thing doesn't work, he can still play special teams or move back to defense, since the Wolverines will be pretty thin at linebacker in 2016. Brandon Peters and Michael Onwenu performed well at The Opening this past week (LINK). Hit the jump for lots of beautiful women. Last year: I ranked Johnson #59 and said he would be a backup running back and special teamer. He made two starts and had 60 carries for 361 yards (6.0 yards/carry) and 4 touchdowns. Johnson had a bit of a breakout season in 2014. Expected to be a third-stringer or lower, he finished the season as Michigan's top back and had the highest yards per carry average of anyone with double-digit rushing attempts. Over the first eight games, Johnson had a total of 5 carries. His first shot at significant playing time came in game nine, a few weeks after starter Derrick Green broke his collarbone. Johnson ran 16 times for 122 yards and 2 touchdowns against Indiana, came back to Earth against Northwestern, and then played well against Maryland (94 yards) and Ohio State (74 yards, 2 touchdowns) to finish the year. Unfortunately, he tore his ACL for a second time in the season-ending loss to the Buckeyes. The future was looking bright for Johnson, but now things are a little hazy. He showed good speed and vision over the last few games, but he was clearly not the coaches' first option. He has now torn his ACL in consecutive years (the first time was in the 2013 season opener). He missed the entire spring with the new staff. And Jim Harbaugh has a history of playing running backs who are a little thicker and sturdier than Johnson. I would probably place Johnson higher on the list if he had remained healthy, but the ACL tear means he will probably miss some time this fall, and he will probably not be anywhere close to 100%, at least to begin the year. We might see another late-season push as he regains strength and confidence in his knee, but for now, there will be other backs higher in the pecking order. It's the weekend, so enjoy some pictures of some beautiful women, including a gif of a girl trying to put on sunscreen. Last year: I ranked Thomas #43 and said he would be a backup safety and special teamer. He started three games, making 27 tackles and 1 forced fumble. Much was expected from Thomas when he came out of high school in 2013, and he took a step toward fulfilling some of that promise as a sophomore. He burned a redshirt that first season for some very spotty playing time, and he worked his way into a part-time starter last year, also playing a role on special teams. A man seemingly without a position (he started off his career playing corner, moved into the slot, and then moved to safety), he put up decent numbers for a guy who should have been a redshirt freshman seeing his first game action. I still have hopes for Thomas. Michigan had a pretty good safety several years ago who made 27 tackles, 1 tackle for loss, and 2 pass breakups as a sophomore. His name was Jamar Adams. The Wolverines seem to be in pretty good shape at the safety position, at least according to practice reports. Senior Jarrod Wilson and redshirt freshman Jabrill Peppers are near locks to be starters, and apparently the coaches really like junior Delano Hill as a third option. That might leave Thomas on the outside looking in, but he could once again contribute on special teams and both Peppers and Hill have missed time due to injuries in their short careers. I do not expect Thomas to start, but he will be a key backup and coverage guy. Jim Hackett doesn't like games at neutral sites (LINK). I have mixed feelings about this. On the one hand, students, local fans, and alumni should be able to go to games without taking a whole weekend and/or having to buy plane tickets. On the other hand, 160,000 people is a lot of people. I don't like the idea of Michigan playing in Dallas like they did for the opener in 2012 against Alabama, but if you have a chance to set a record like this new opportunity, I think it might be worth it. Hit the jump for several good looking people of the female variety. Last year: I ranked Tuley-Tillman #79 and said he would be a backup offensive tackle. He played in one game. Tuley-Tillman has had quite an adjustment since high school. He was overweight and somewhat sloppy and reached a peak of approximately 330 lbs. Then he dropped all the way down to 285 lbs. before building himself back up to 290 lbs. last season. Michigan struggled on the offensive line at times, but Tuley-Tillman was passed on the depth chart by a freshman Mason Cole. Tuley-Tillman played in just one game, the season opening blowout of Appalachian State. Whenever I see Tuley-Tillman in practices, spring games, etc., he still has the same inconsistencies in his technique. Considering the failures of former offensive line coach Darrell Funk, it's understandable. But the excuses are gone, and now he has a quality offensive line coach in the form of Tim Drevno. As the only prototypical backup tackle, he could be called upon if one of the starters gets hurt. His length and size are tantalizing, but I think he would be a liability in a starting role at this point in his career. Michigan has a few options on the interior if someone goes down (Patrick Kugler, David Dawson, Blake Bars), but if Cole were to get hurt, it's either Tuley-Tillman, a major reshuffling (Ben Braden, Graham Glasgow), or throwing out guys who aren't ready (Grant Newsome). James Light Football looks at trap coverage (LINK). Hit the jump for some pictures of Gabriella Lenzi. 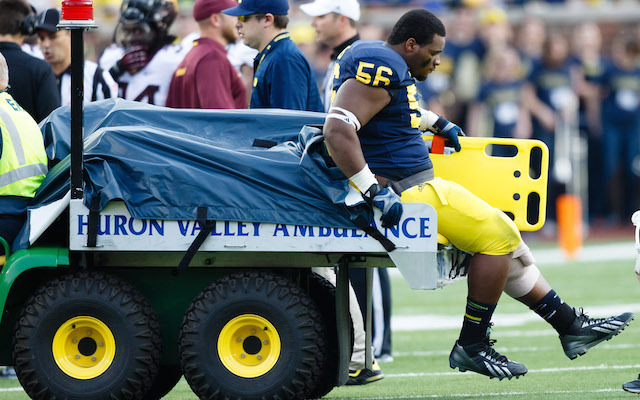 2015 Season Countdown: #57 Tyrone Wheatley, Jr.
MLive: Where are Brady Hoke's staff members now?